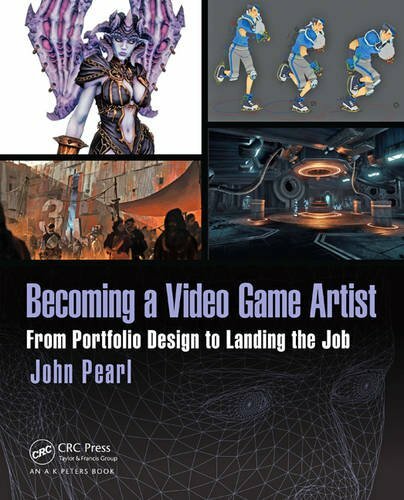 [PDF] Becoming a Video Game Artist: From Portfolio Design to Landing the Job (Focal Press Game Design Workshops) | Free eBooks Download - EBOOKEE! Description: The game industry continues to grow and evolve as the years pass. Despite this growth, the competition in obtaining a career in video games remains as arduous as ever. Becoming a Video Game Artist helps guide readers from their first steps of making a portfolio, to acing the job interview and beyond. John Pearl explores the different art related jobs and their responsibilities. Questions are posed to industry professionals throughout each chapter to help with the readers growth and understanding. Becoming a Video Game Artist is the ultimate roadmap in navigating a career in video games by teaching how to make your portfolio shine, what expect once hired, and how to make the best decisions to help flourish your talents and cultivate an exciting career. No comments for "[PDF] Becoming a Video Game Artist: From Portfolio Design to Landing the Job (Focal Press Game Design Workshops)".